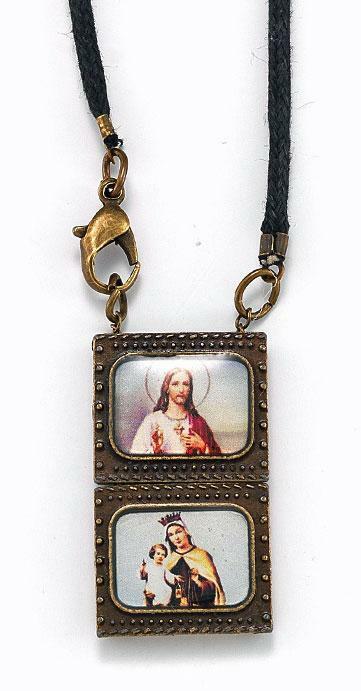 Two gifts in one—this intriguing locket necklace from Sacred Traditions open to reveal a real rosary inside! 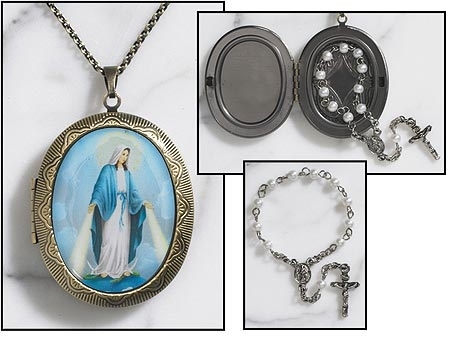 The locket is designed to capture the old world charm of vintage jewelry with the addition of traditional Catholic imagery beautifully framed on top. 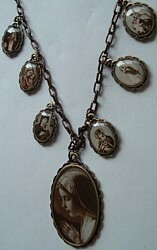 The inside holds a tiny one decade rosary—white pearl for Our Lady of Grace, red for Our Lady of Guadalupe. 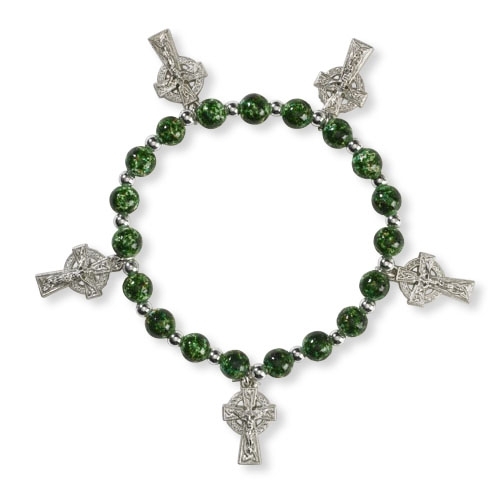 An extra-long 24” chain with clasp, and a high quality two-piece molded gift box complete this special gift.